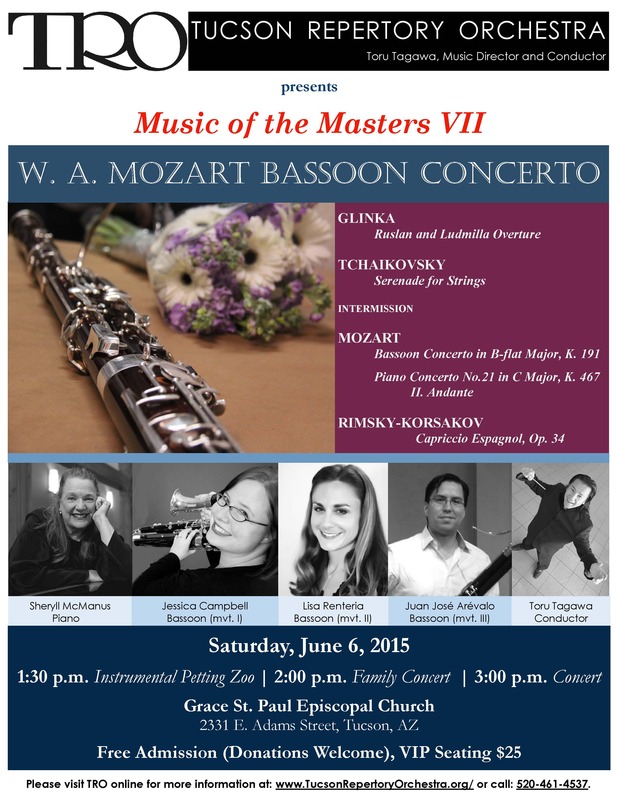 Music of the Masters VII and Family Concert will be on June 6, 2015. Featuring 4 soloists on Mozart Concerti. Bassoon Concerto and Mozart Piano Concerto No.21.